The species is distributed in Transcaucasia and Northern Iran. The species is monotypic. Transcaucasian Skipper is an inhabitant of saltwort and wormwood semi-deserts and calcareous mountain steppes, which lay in the interval between 1000 and 1600 m a.s.l. The host plant of the species is not yet known. The scarce records of the species suggest its flight in one generation per year, in May and June. The species is very rare within typical habitat, which makes not possible calculation of its population trend). The areas where the species was recorded partly lay in the zone used by Kurdish shepherds for sheep and cattle grazing. In the conditions of not controlled number of the livestock it can create real desert to the habitat and the species. 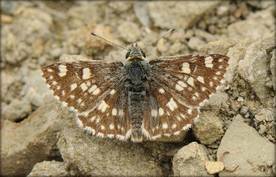 No evaluations have been conducted in regards of Transcaucasian Skipper’s conservation status for the Global, European, and National Red Lists. Also the species is not included in CITES and Bern Conventions. 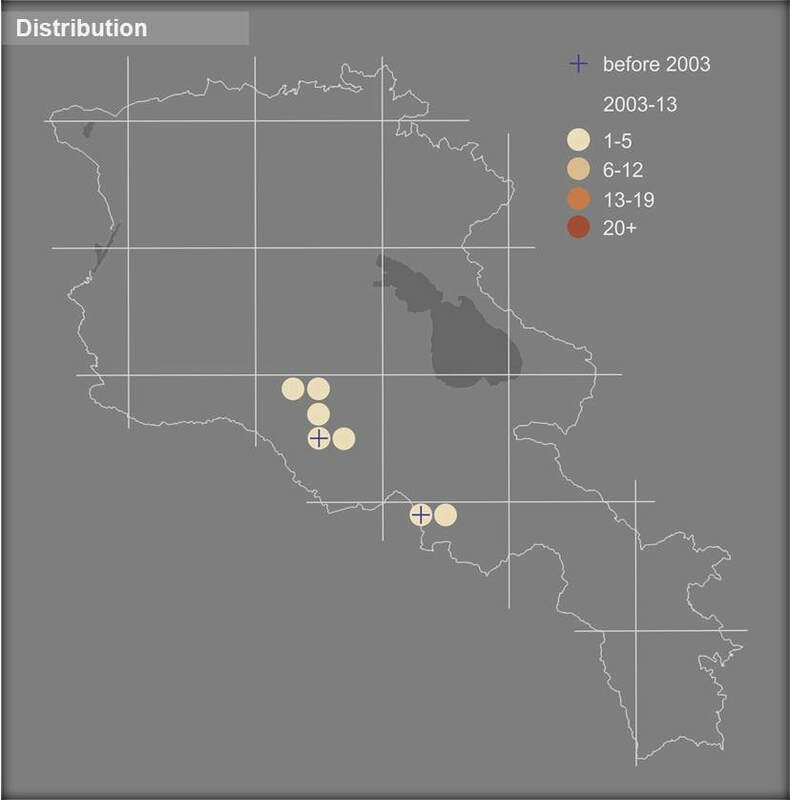 Preliminary assessment of its conservation status in Armenia ﻿﻿​suggests it as a Data Deficient. Therefore a study of the species population and biology is suggested as a first steppe. While, some parts of the species distribution range are covered by Protected Areas and Emerald Sites, development of habitat-friendly grazing schemes in non-protected areas (already justified for other species) can help in protection of those populations of Transcaucasian Skipper, which are not yet included in National Protected Areas.